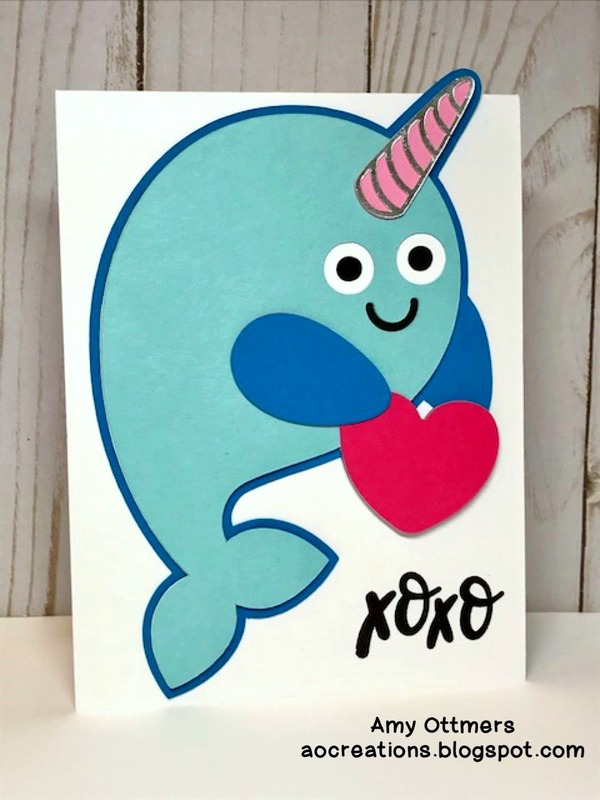 I used Rob & Bob Narwhal Valentine (Make it Now). Oh my goodness this is sooooo cute! My daughter loves narwhals. I'll have to check out this cart. Awww, this is so adorable! This card is so delightful in every way! This card is so cute. Avaleigh would LOVE it! !